I did some really interesting thinking when I was out walking Teddy the poodle yesterday. It was sparked off by someone talking about listening in to your intuition. So I was strolling along with Teddy thinking about my intuition and asking 'her' (the higher me) questions. I asked what she thought of certain things and what suggestions she could offer. One thought I came to was asking myself as a little girl what I needed to be happy. I’ve heard of this before, of asking your inner child, or the younger you about things. Look at what she enjoyed doing when she was little and invite those things into your life now. It’s a fun way to feel happy, peaceful, grounded and content, and it costs nothing. Well, I guess that depends on what your little girl wants :) But my little girl, little Fiona had some soothing words for me when I asked her what she needed to be happy yesterday. She makes her own fun because she has such a vivid inner world of prettiness and imagination. She really does love being self-contained and in her own space. She needs me to make boundaries and routines for her when she’s at home when no-one else is, because otherwise she would, as a young girl might, just wander around from room to room and probably get a bit bored. But when I help her, when I make boundaries for her and when I put little routines into place, it makes her feel so happy, and it makes her feel safe. And she lets me know that she needs to feel safe because she has been scared, for no logical reason, but maybe it’s the lack of boundaries and lack of security and lack of routine that makes her feel unsafe. She just needs me to take her in hand and guide her. Guide her to her ultimate happiness, guide her to find out what she loves doing the most. I hear that little girl, because deep inside I’m still the same person, because that’s my soul. What she wants is to share with the world – her happiness, her creativity, her self-sufficiency; she wants show other people ‘look how much fun it can be when you create your own inner world to inspire you’. She wants to show other people her world, and share it with her ladies, because she knows those ladies are lovely. She writes about what she wants to write about, and it makes other people happy too which only adds to it for her. How about that huh? I didn’t expect all that when I started thinking as I was walking. And what I did to capture all this, was turn the voice recorder on my phone and talk into it as I walked. So it was sort of like journaling, but talking. If this sounds like a fun exercise to you, ask your younger you what she needs to feel happy, safe, relaxed, whatever sounds good to you. I’m not sure of her age; I can picture her, she was definitely under ten, maybe under five. Please let me know how you get on if you do join in, please leave some fun bits or perhaps answers you are particularly pleased with in the comments. And I'd like to wish you (and your inner littlies) a beautiful week! I wrote the following post quite a long time ago... and lost it. I recently came across it again and wanted to share it with you. I hope you enjoy it! Yesterday I made like I was the French girl carrying out her maintenance. Maintenance of herself and maintenance of her home (and in the process, maintenance of her relationship with her man). On a Sunday morning my husband and I have been enjoying for a while our little routine of Sunday paper(s) in bed with English Breakfast tea. We get the papers delivered so my husband goes down to the gate to get them while I make the tea. I don’t like to sound like the ideal consumer but we got the idea off an ad for Twinings English Breakfast tea. It showed Nigella Lawson taking her big mug of tea back up to bed of a morning, with the papers. When we’re sick of reading the papers and our backs are getting sore from sitting up in bed we head down for breakfast. Often I will make something a bit treat-y for Sunday breakfast. We used to go out for brunch but our business being open seven days a week stopped that for now. So we recreate it at home. And actually I prefer it. There are no other people (I really don’t like ‘other people’ most of the time, I like my own space) and it’s a fraction of the cost. And we can be as healthy or unhealthy as we like. Today we had virtually no breakfast foods in the house (bacon, sausages) so I made scrambled eggs with cream and dill and baked beans on wholegrain toast. Quite an English breakfast I think! With that we had coffee freshly made in the Bialetti. I make a good strong brew and pour a shot into the cup then top with warm milk for a homemade cafe au lait. Then after I farewelled my husband to work after the kitchen was tidied and the dishes were done I put some clothes in the washing machine. Vacuuming and mopping comes later. I got down our Le Crueset lidded casserole and set it going with chicken carcasses from the freezer (from roast dinners) and hot water to simmer for stock all day. And as for my body maintenance, firstly I gave myself a pedicure. I had only my second professional pedicure last month when I was visiting my mother. The first one about 15 years ago I have blocked from my memory as it hurt so much. She really hacked into my cuticles and so I have never had another one. The second one, my mother had been given a gift voucher for an hour long deluxe pedicure but didn’t want to show anyone her ‘ugly toes/feet’. Isn’t that the point? I wasn’t arguing though, and before too long I was sitting up on a beauty therapy bed in a serene, dimly lit room. My feet soaked in warm water before being exfoliated and massaged (up to the knees - blissful) then cuticles were pushed back and nails painted - ‘Paris’ red, but of course. The therapist said ‘choose a colour’. 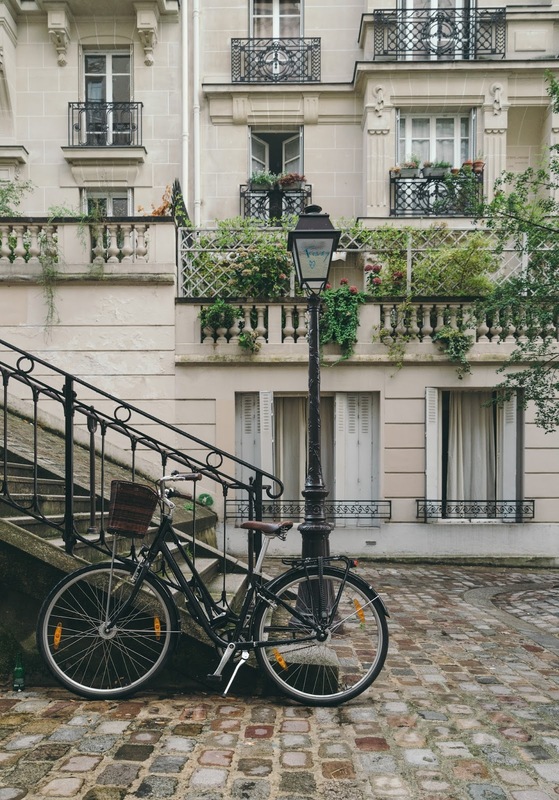 When I saw they were named after cities, I had to look for Paris and luckily I loved the colour – a bright, cheery orange/red. I am removing the polish and doing my own pedicure today. I will remember to use the pink foam toe separators as they made such a good job of my toes. And I filed rather than clipped my nails. I have normally clipped my toenails and they are too short. Following on from the pedicure I will file them. They look so much nicer slightly rounded and level with my toes. Everything I am doing has Carla Bruni playing softly in the background, to really put me in the mood to channel Sabine. Next comes the shower, with scrubby body gloves and shower gel, hair wash and legs shaved. I slather myself in sweet-scented body lotion and then paint my toes (with toe separators). For lunch I made macaroni cheese (from scratch using real ingredients and herbs from our garden) and had a small portion of this (maybe two inches square) with... a salad. I can’t not have a salad now. I had a craving for macaroni cheese and bought some macaroni elbows yesterday. In today’s Sunday paper – a recipe for macaroni cheese. Being Autumn I probably can’t take credit for that coincidence – every man and his dog probably had macaroni cheese for lunch. It was one of my favourite meals as a kid, and we often had it for Sunday lunch. I will be enjoying the leftovers for lunch at work as well. After some folding of washing, and vacuuming my husband arrived home, and I relaxed with a wine and the rest of the Sunday papers. The best thing about a day of home and self-maintenance is that it is entirely free. I think it is very chic to be thrifty. Any old fool can go out shopping for lovely new things with their credit card, but it takes effort and imagination to spend (and enjoy) a day of cleaning and beautifying. 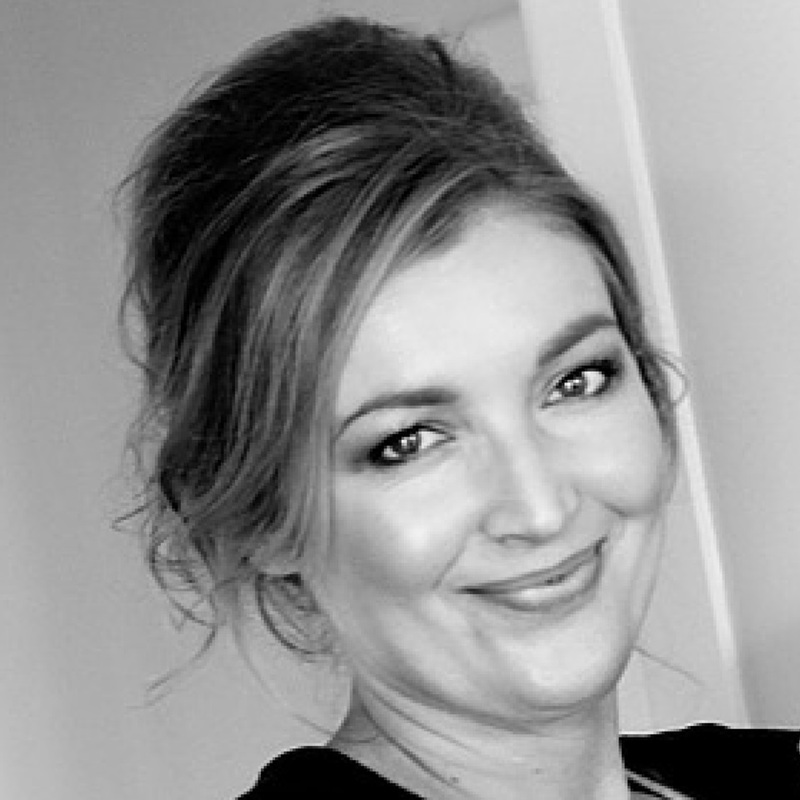 Rather than look at housework as a chore that I begrudgingly half-do, I try to keep in mind to enjoy the process while I do it and also know who I am doing it for – the peace and well-being of my husband and I. My husband has been working hard all day and I love that he exclaims how inviting our home looks when he steps in – every single time. Wishing you a wonderful week, and Happy Thanksgiving to my USA friends! PS. 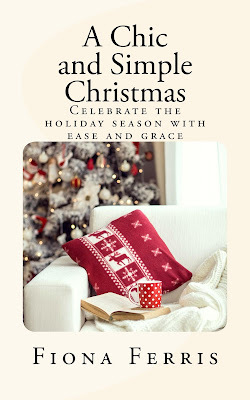 Christmas will be here soon, and I wanted to remind you about my book 'A Chic and Simple Christmas'. If Christmas stresses you out every year, can I invite you to look at it in a different way? One reviewer said of this book 'A very non-traditional Christmas book - but thought provoking' and another 'Used the ideas to have probably the best, low stress, Christmas I have ever had.' Yay! 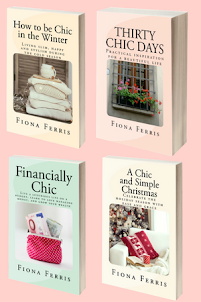 Check out the Amazon 'Look Inside' function to see if 'A Chic and Simple Christmas' is your cup of tea. Available in paperback and on Kindle here. Thinking about how this December is going to be is giving me so much pleasure at the moment. Before we sold our retail business at the end of last year, my husband and I had worked virtually seven days a week from the beginning of December to the 24th, so there was little energy or time left over to have the magical holiday season of my dreams. We did what we could, with Christmas outings and movies, decorating our Christmas tree and creating a simple yet lovely Christmas feeling; but this year, well, this is our year! We have moved house and I am now writing my books at home with no external employment. 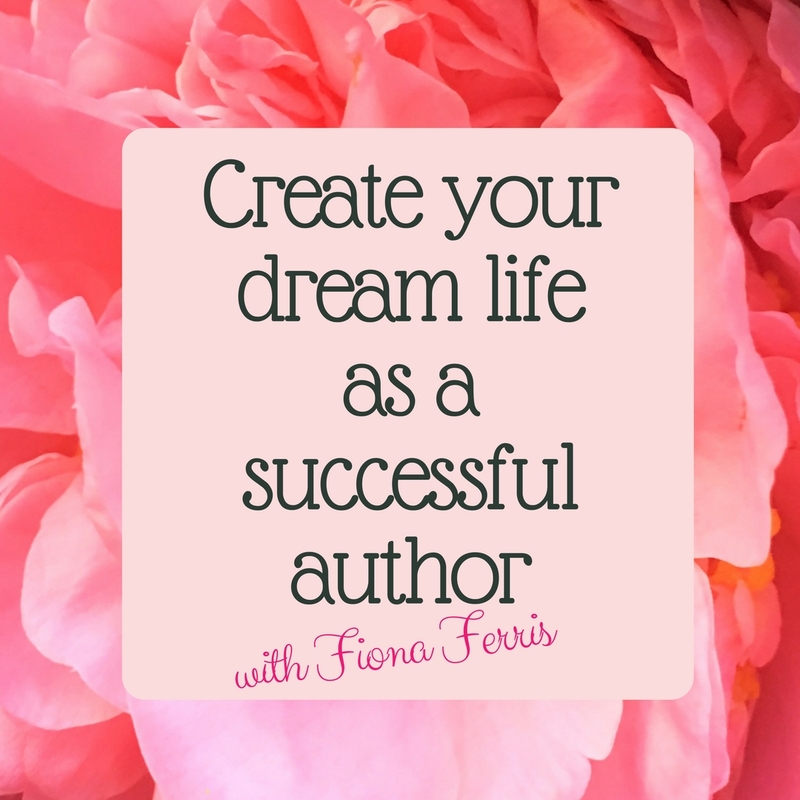 I am finishing my six-week training course 'Create your dream life as a successful author' next week and that has been full on as well as being a lot of fun. Twenty-nine incredible ladies joined me for the first round, and their enthusiasm for the lessons and their own writing has been an inspiration to me too. 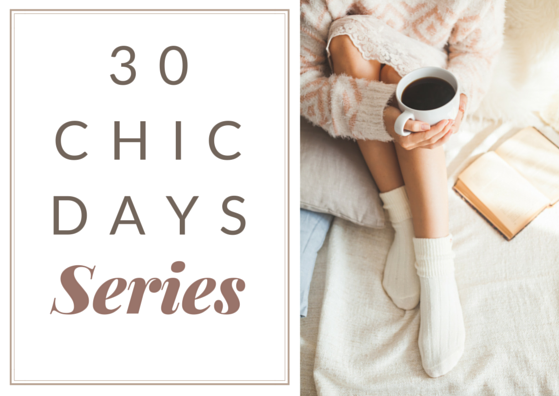 I wanted to be further along with my new book Thirty More Chic Days, but, even with most of my e-Course lessons already mapped out it has still been a lot of work, and that's okay. I've been putting everything into my lessons, so I'm fine that I realistically won't be publishing my new book until the new year. I really wanted to have it out before Christmas - you know how you want to have everything in your life completed before year end! - but I'm over putting pressure on myself. I'll enjoy the writing far more if I don't stress myself by trying to pack everything into 2017. That's the change I'm making in my own life - I am seeking to enjoy everything I do and ensure that pleasure is a main ingredient in my days. Ever since I can remember, I've had a perpetual sense of guilt hanging over me. For no reason! Guilt that I'm not a good enough person, guilt that I haven't done enough that day, guilt that I haven't earned the right to be a lovable person... so much stuff that isn't even real. I've been practicing NOT feeling guilty and it feels far better. Every time guilt sneaks in, or a sense of heaviness that I should be doing more, I remember that I choose to feel good in the moment, no matter what. There is no rushing to the next thing on my list so that I can feel worthy. Instead of doing one thing while thinking ahead to what I need to do next, I enjoy doing that thing in the present time. It feels so good. 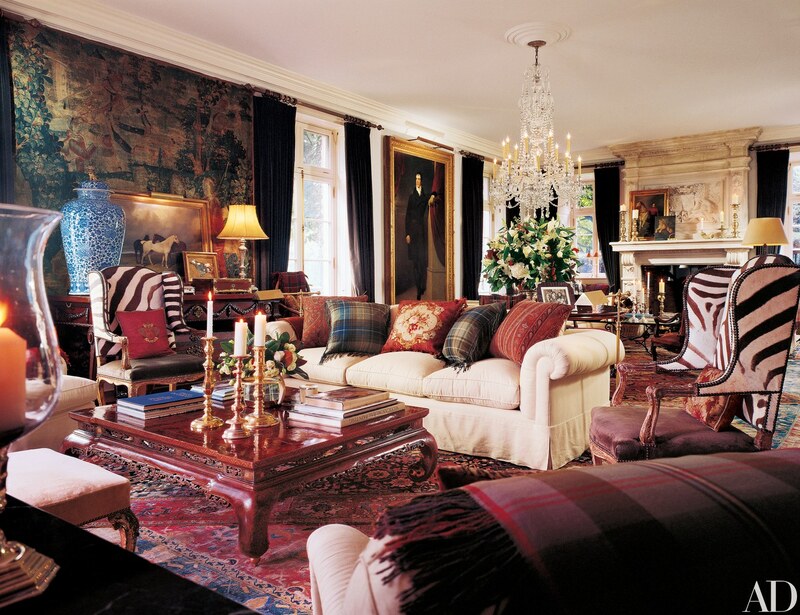 Something that's been inspiring me lately, is that I've been on an immersion into all things Ralph Lauren. I've never owned a single item of his, whether clothing or homeware, but I love his philosophy. 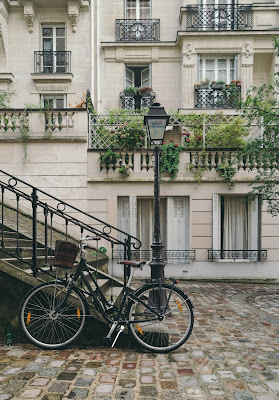 About going to everyday style over fashion, appreciating utility items, owning items that get better with age, mixing in second-hand with new, going for well-made quality and keeping a sense of style in every part of your life. I ordered a book about Ralph from Thrift Books and it arrived a few weeks ago (you can see it here, and if you use my code for anything on Thrift Books you receive a 15% discount coupon valid for the next fourteen days). I decided that Ralph is going to be my filter for a stylish home (and a luxe casual wardrobe, and an elegant Christmas decor, and, and, and.) Would Ralph do this? is my question to pass all my style choices through. I bought a seven-foot tall deluxe faux Christmas tree yesterday, and I am going to decorate it in a tasteful style; I'll have to do some research. I already know I want to include a touch of tartan in my Christmas theme. 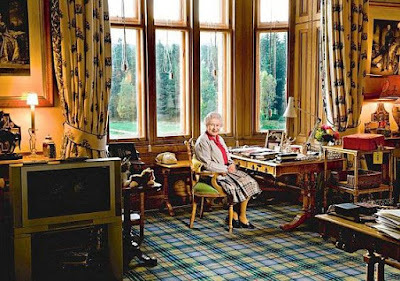 Not only is it very Ralph (I love the photos you can find online of his Bedford estate, that's so my style inside) but I also have Scottish heritage, having been a Macdonald before I married Paul. I've always loved tartan in home decor, and it's my dream to have tartan carpet in a room one day (just like the Queen does at Balmoral Castle below). Are you thinking about Christmas yet? What style are you going for this year, or do you have the same style every year? I usually have the same understated (understatement!) style so I won't be going over the top, but I do want to push the boat out a bit, whilst still being pleasingly elegant. I'd love you to let me know! PS. 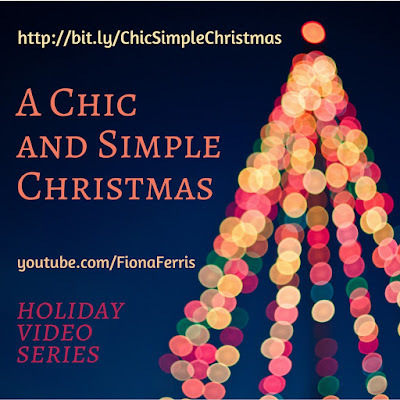 My Christmas prep series 'A Chic and Simple Christmas' is now up on YouTube. There are ten tips to help you feel good about the holiday season. They are quick to watch, and in a playlist so you don't have to start each video individually. View my holiday video series here. Oh happy days, I have a poodle in my life again! Please don't get too excited, this handsome fellow is a Rent-A-Poodle of sorts. Teddy lives across the road and LOVES walking, so I take him with me when I go for my walk now. If you have been reading my blog for a while, you'll know that I adopted senior rescue poodle Atlas after his dad died. I thought Atlas was twelve, but his original papers turned up and he was actually 14.5. We had him for only seven months before he crossed rainbow bridge and he was such a sweet boy. He'd come to the shop every day with us and was an excellent greeter. We still had customers asking about him years after he died, he was so popular! You can read about the day Atlas came into our lives here, and if you are keen for more, everything poodle is in the Poodle Chic tag here (you'll have to read the posts in backwards order though because the newest one comes up first). After Atlas passed, we adopted our rescue cats Jessica and Nina so didn't look for another dog, and that's what makes coming across a new friend in Teddy such a lovely find. I get to enjoy his company on my walks, then drop him off home and the cats are none the wiser! Dogs always make walks more fun, and Teddy is no exception. And the cutest lamb who must have been hand-reared because he always comes up to the fence if he's close by. (Sometimes mother sheep won't have anything to do with their lambs, so there is no other option.) Have you ever buried your face in a sheep's head? It smells gorgeous. Warm and lamby and woolly. It's the farm animal equivalent of sniffing a baby's head. Budgie heads are lovely too (in my sister's rescue-bird aviary). I hope you enjoyed joining me for my country stroll with my new man Teddy. Please, let me know what you've been up to this week? I also have exciting news. My first international edition of Thirty Chic Days has been published by Vaga, Lithuania's oldest publishing house. It is available in both print and as an eBook here. 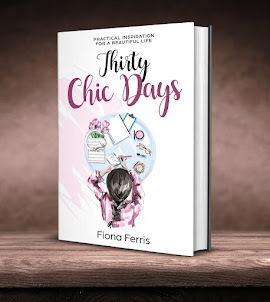 Thirty Chic Days is still my most popular book, even though it was one of my first. 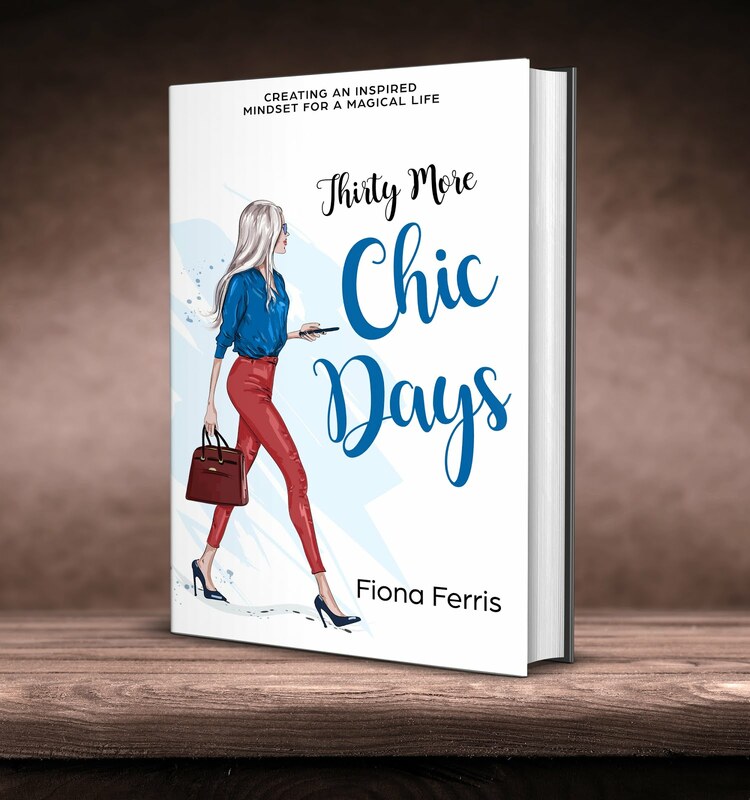 I've been writing for my next book, and have decided it is going to be Thirty More Chic Days. I have so many wonderful topics I've been writing on, but I'd love to hear from you. If you could choose a chapter topic or title for this book, what would it be? Also, do you have a favourite chapter in the original Thirty Chic Days? Please share your thoughts, because I'd love this book to have your input; I think that would be really special. Have a lovely weekend, and I will see you next week!